Trendy, grey nursery backpack in ultrasoft felt with simili-leather details. On the inside the backpack is made out of nylon. The backpack is ideal for sporty parents that like to go for a walk with their baby while having their hands free at all times. Trendy, grey nursery backpack in ultrasoft felt with simili-leather details. On the inside the backpack is made out of nylon. The backpack is ideal for sporty parents that like to go for a walk with their baby while having their hands free at all times. 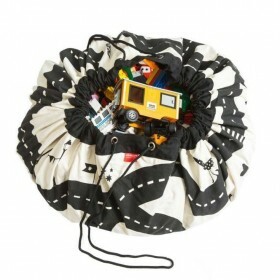 The backpack includes a foldable changing mat. On top of that there is plenty of storage space to store all of your baby's items. 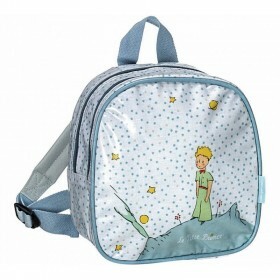 The nursery backpack has two large compartments. 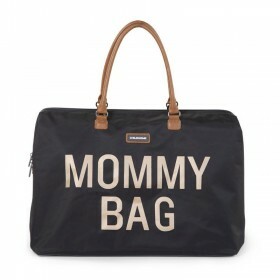 The front compartment has a holder for the changing mat and has 2 practical pockets. The main compartment has a key holder and 2 bottle holders to hold your feeding bottles. Also this compartment is divided in several smaller departments in order to organise and separate diapers, extra clothes and personal stuff. The shoulder straps in simili-leather are easily adapted. Material: Felt (100% polyester), simili leather, nylon. Size: 45 x 32 x 20cm. Care: Clean with damp cloth. Este querido doudou, com porta-chupeta, está preparado para receber os melhores abraços do seu bebé. Querido e resistente estojo ou bolsa de viagem, de elevada qualidade, em "forma" de coala. Ideal para transportar junto com a mochila. Conjunto de 2 musselinas multifunções (70 x 70cm), feito a partir de algodão suave com elevada capacidade de absorção. Ideal para secar o bebé após o banho, pode também ser usada enquanto acessório de apoio à muda da fralda ou após a alimentação. A caixa torna-o um bonito presente.